Hurry and take a look at this beautiful 4 bedroom (one bedroom currently being used as a library with converted closet space) 2.75 bath home with formal dining and family room, very spacious floor plan with indoor laundry room. This beautiful home also features a newer septic system, newly installed rain gutters around the house, newly renovated kitchen with granite counter tops and granite back splash with pull out drawers in the kitchen cabinets, renovated extra bathroom (completely re-plumbed), all bathrooms have newer sink fixtures, newer ceiling fans, 2 fire places, a newer water heater as well as a security system, whole house fan and all wood dual pane windows throughout. 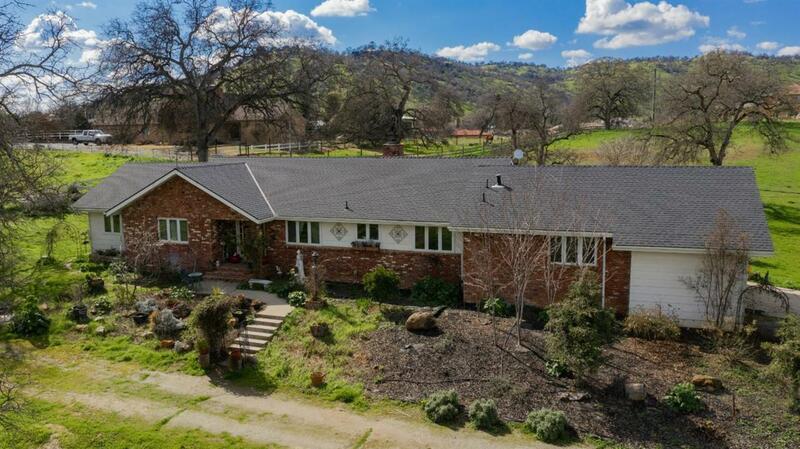 It has a large lot with plenty of room for RV parking or pets, also has an owned propane tank, landscaping near the house in front and back, completely fenced all the way around and it is ready to be developed into the perfect horse property! Come take a look and make an offer today. Listing provided courtesy of Casey Castillo of Bella Homes And Properties, Inc.